Wavecom’s TnT-EL is available now for just $558! Plus get 250 Test Tags Absolutely Free! 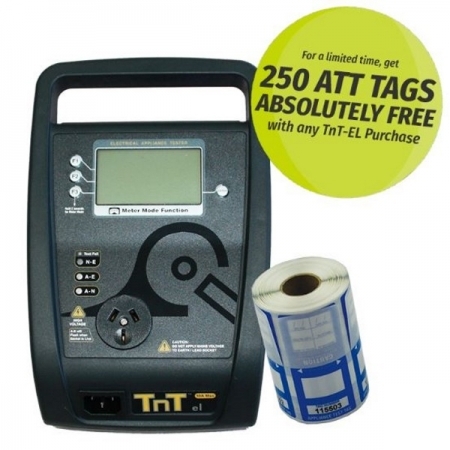 The Gen 4 TnT series provides a host of features and functions never before seen on any appliance tester. 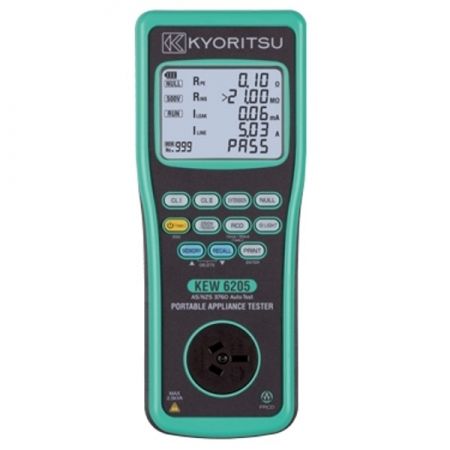 With 10 Amp capability and a totally new Meter Mode function (providing instant power, voltage and current measurements) the Gen 4 TnT Series boasts a comprehensive list of tests and analysis as required under our AS/NZS 3760:2010 standards. Designed and manufacturered in Australia to meet stringent testing requirements – some of the tightest in the world – the TnT Gen 4 series now sets its own new standard of reliability and ruggedness, which also comes with a 24 month conditional warranty. 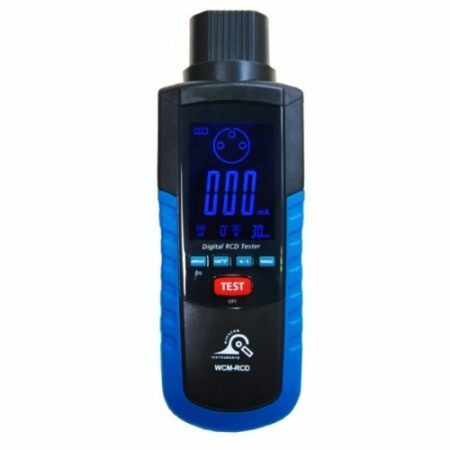 The Generation 4 Wavecom TNT-EL is an ideal choice for anyone that needs a basic and user friendly appliance tester. With the Wavecom TNT-EL it’s easy to navigate through the various tests you’ll be required to perform and it is as simple as pressing ‘F1’ for Class 1 tests and ‘F2’ for Class 2 tests. 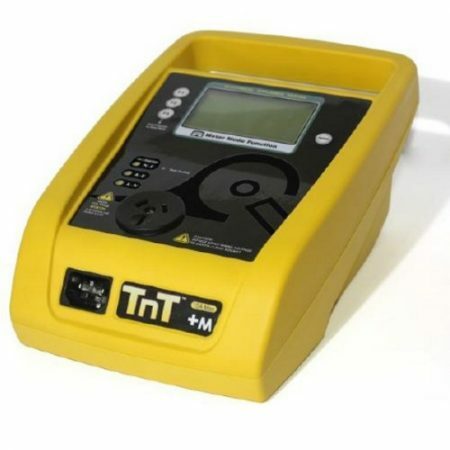 The Wavecom TNT-EL is also capable of conducting Leakage Current testing – rare for a tester in this price range. Another additional benefit is its ability to test sensitive electronic equipment safely that cannot be tested with a standard insulation tester. Similar to the other Gen 4 models, It includes Wavecom’s new Meter Mode function which display’s volts, amps, true power and reactive power of an individual appliance. Many testing personnel have some reservations in testing sensitive, electronic equipment using a 500V DC insulation test. There is a perceived fear of causing internal damage from over voltage. With the introduction on the TnT Range of appliance testers, these concerns are alleviated. 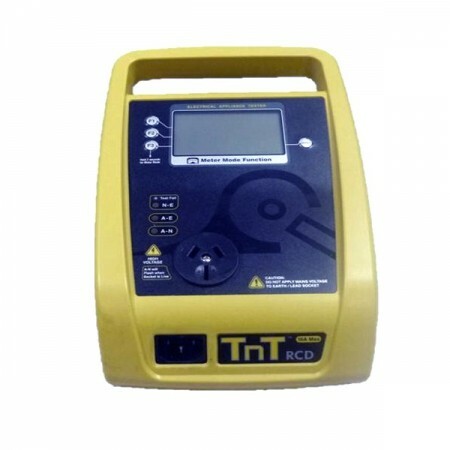 The TnT Range of electrical portable appliance testers is safe to test electronic equipment as the tests are carried from Active-Neutral (shorted by a relay inside the tester) to Earth. No dangerous voltages pass through in this mode to the internal components of the DUT (Device Under Test). If these tests are done using an Insulation Tester only and the user tests Active to Neutral, this would be a cause of potential damage, this is why the TnT product range is far safer to use. Some changes may be required in certain configurations where fitted surge protection devices (MOV’s) in the DUT may cause a failed test result. Applying 500V in this these situations can cause the surge protection devices to trip, therefore conducting the applied voltage to earth, thus showing a failure of insulation. In these instances the test voltage should be changed to 250V then retest. If DUT still fails, check with the DUT Operators Manual or an electrician. [for details see – ‘Double Insulation Test’ 250/500VDC to change test voltage]. Under these circumstances, it would be difficult for any damage to occur to either the surge protection device or the DUT, as there is insufficient current generated by the TnT-el appliance tester. If there are any doubts with insulation testing of the equipment, the standard (AS/NZ3760) allows for an alternative test method. A Leakage Test can be performed instead. (The TnT – Series are designed to perform these tests). NOTE: 10Amps MAXIMUM Resistive Load only (Standard TNT – Series units). A Leakage Test applies power to the Device Under Test (DUT) and measures the imbalance of leakage current from the DUT between the active and neutral conductors. The leakage is tested to the limits specified in the standard and a Pass/Fail result as well as a digital reading is provided to ensure that the user gains as much information as necessary. The TnT-el conducts earth continuity tests at Approx. 200mA. Continuity tests at higher currents are not required and are not recommended on certain equipment as this can cause severe damage or premature failure to the DUT under test (as per AS/NZ3760). 3 Phase appliances can be tested by the TnT series appliance testers. This test is carried out by using the adaptor connection socket. As the insulation tests are from Phase to Earth, only a 500V insulation test is required. These adaptors can be made by your electrician or purchased as an accessory. Please note: (The TnT cannot perform 3 Phase Leakage test. Contact MyMeter for the appropriate tester).